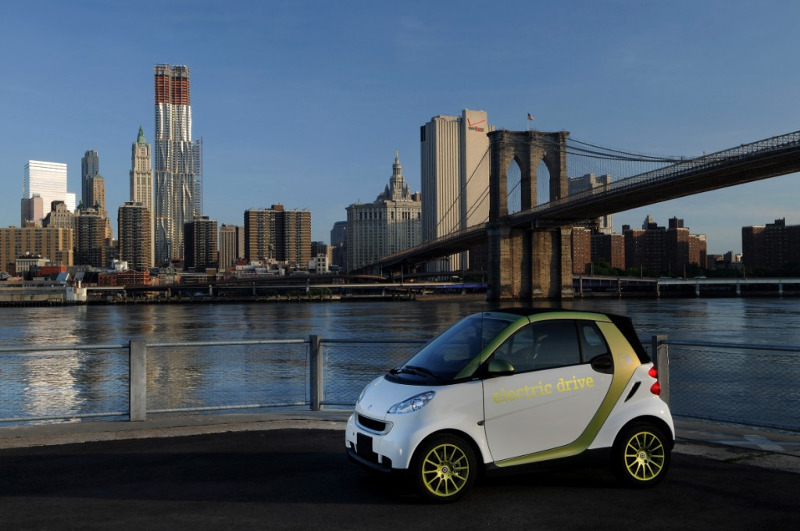 The Smart ForTwo Electric Drive has been produced in several variations since 2007. The third generation of the car is accelerated by a 55 kW motor from 0-100 km/h (0-60 mph) in less than 12s. Like its gasoline powered relatives, it only has two seats and is also available as a cabriolet.